At Cambridge Seven Associates, I was part of a creative team that designed exhibits for the interpretive center. The exhibits educate visitors on the five Southern Florida ecosystems. Each gallery is divided by floor-to-ceiling printed fabric banners to create an immersive experience and separate the ecosystems. 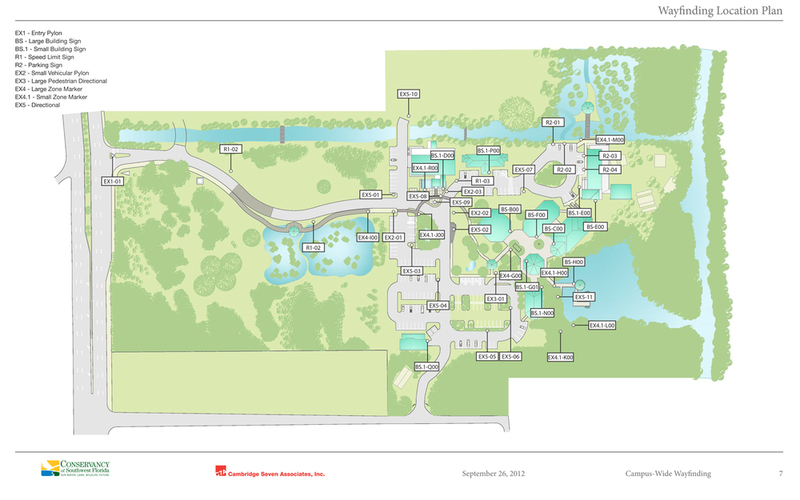 For the larger campus of the Conservancy, I created a typical signage and wayfinding masterplan, as well as, a donor program for the client to be able to implement on their own.